Canon is transforming the EOS system with the arrival of the EOS 5DS and the EOS 5DS R – a new breed of ultra-high resolution full-frame DSLRs. Breaking the boundaries of 35mm sensors, the new cameras offer the highest megapixels ever seen in a full-frame sensor, an astonishing 50.6 MP. When nothing but the sharpest image is required, the EOS 5DS R also features a low-pass cancellation filter to maximise the sensor’s resolution and visible image quality. The new cameras provide the flexibility to shoot a wide range of scenes and subjects, making them ideal for large format mediums, such as advertising billboards and magazine covers, where every pixel matters. The sensor’s advanced architecture provides ISO 100-6400 sensitivity, expandable to 50-12800, ensuring high quality images with low noise, accurate colours and wide dynamic range. Canon has announced two new cameras in its entry-level EOS line-up. The EOS 750D is ideal if you are looking to capture images and Full HD movies with the assurance of automatic shooting modes. The EOS 760D gives enthusiast photographers more creative freedom and manual controls. Both cameras use a powerful new 24.2MP sensor and Canon’s DIGIC 6 image processor. The ISO 100-12,800 range delivers detailed results even in low light. In addition, Flicker Detection technology, first found in the EOS 7D Mark II, provides consistently exposed images under artificial light for even greater flexibility. Continuous shooting of 5 frames per second, together with a powerful 19 cross-type AF point system, help to capture fast-moving subjects. Canon is introducing the world’s widest-angle rectilinear zoom lens (as at 6 February 2015). Perfect for photographers shooting landscape and architecture, the EF 11-24mm f4L USM is designed to open up a new world of creative opportunities, thanks to its super-wide 11-24mm focal length range. Boasting a newly-designed optical structure, the lens features three aspherical lenses including a ground aspherical element which maximises image quality and delivers minimal levels of distortion, while the body is rugged and robust enough to be employed in extreme weather conditions. The EF 11-24mm f/4L USM is available from March 2015 with an RRP of £2,799.99 / €3,699.99. Canon has announced the EOS M3 – a powerful Compact System Camera (CSC). At the heart of the camera is Canon’s first 24.2 megapixel APS-C CMOS sensor and its most advanced image processor, DIGIC 6, delivering premium quality stills and Full HD Movies. The sensor’s 100-12,800 ISO range provides low-noise shots in challenging light situations. The 49-point AF system and innovative new Hybrid CMOS AF III technology deliver fast focusing (up to 6.1x faster than the original EOS M). The EOS M3 incorporates the EOS design DNA and is instantly comfortable in the palm of your hand thanks to the fluid design grip. Direct access to a range of controls, including an exposure compensation dial, main control dial and customisable buttons, let you adjust the camera’s settings to suit your shooting style. 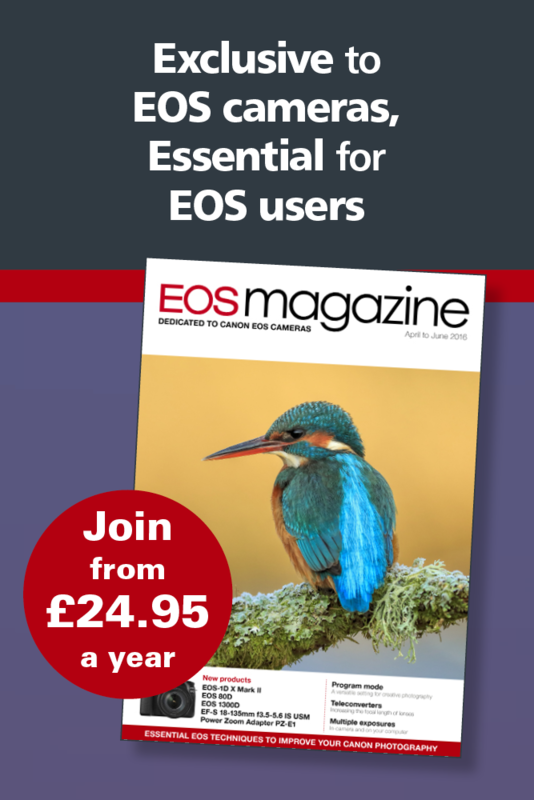 Purchase an EOS 7D Mark II camera and a qualifying lens between 4 February and 31 July 2015 and receive up to £250 cashback.